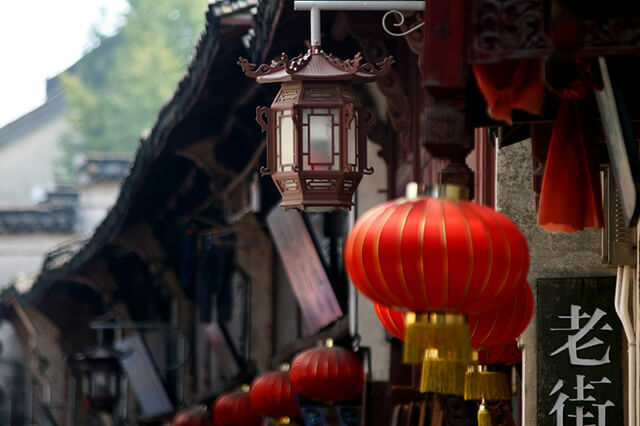 Chunxi Ancient Town, also known as Gaochun Old Street, is located in Chunxi town, Gaochun District, Nanjing City, Jiangsu Province. 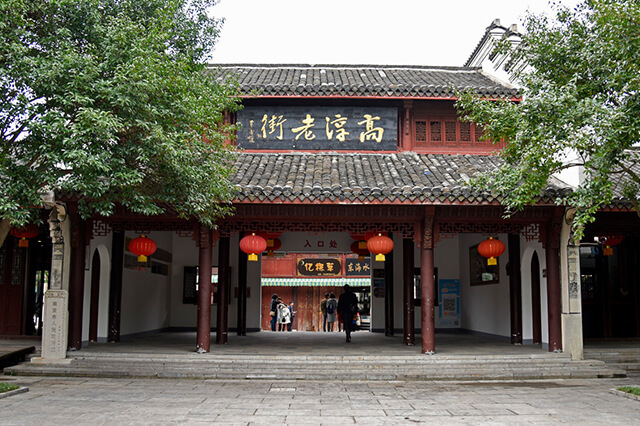 It has had a history of more than 900 years until now and is a provincial-level cultural relics preservation unit in Jiangsu Province, also it is known as “the first old street of Nanjing”. Chunxi Ancient Town owns the best-preserved ancient architectural complexes in Jiangsu Province that stand side by side along the waterside, and most of the ancient architectures are of double-deck brick-wood structure, peach eaves bucket arches, raft door planks and ornamental engraving panes, and rubbed in the horsehead fire wall and butterfly small tiles of Hui-style, which makes it own the typical lingering charm of the regions south of the Yangtze River as well as the meaningful and dignified solemn and respectful feeling, for which it is praised as “the epitome of eastern civilization” by Chinese and foreign scholars and tourists. Fine woodcarving on the buildings is also a feature, either characters or animals are vivid with exquisite workmanship, which reflects the superb technology of ancient craftsmen in Gaochun County, combined with the traditional calligraphy plaques, adding more simpleness and elegancy to the ancient town. Chunxi Ancient Town is not only with a deep historical culture, but also with an advantage of good natural environment. The water transportation system here is developed, and the scenery is very pleasant with small bridges and flowing stream everywhere. The east of the street is close to the Gucheng Lake. Through overlooking the lake, the lake is green, and the pond is beautiful. The south of the street is by the Guanxi River which is winding and the stream is indirect and quiet; for the Youzi Mountain in the distance, it is in winding and in a state of up and down. Arriving from Nanjing City to Chunxi Old Street, the traffic is very convenient. Every day, there are several direct-arriving shuttle buses starting from Nanjing bus station, and the distance of self-driving travel is also very short, suitable for travelling and playing there at the weekend.